Fergal Dowling of Dublin Sound Lab talks about Music Current 2019, and how there’s sometimes a need to have a sprinkling of technical black magic to make the audio king, at this year’s four-day event. 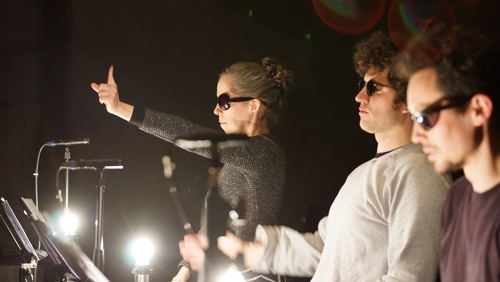 Music Current is an annual festival of contemporary music produced by Dublin Sound Lab, running at Smock Alley Theatre from 10–13 April. The festival is a showcase of the best and most recent contemporary Irish and international music, and we focus on performers and composers who produce exciting works and who are unafraid to be challenging. The event started in 2016 and grew out the work that Dublin Sound Lab has been doing. We had been organising our own concerts and producing our own music as well as music by international composers that we like, since 2008. We started extending some programmes over a few days and inviting other musicians to take part and to send us their works. The main public face of the festival is a series of evening concerts, this year we have three radiophonic pieces by the Irish electronic music pioneer Frank Corcoran, as well as Stock11 collective from Germany, one of the most thought-provoking music groups performing today, Steven Takasugi’s music theatre masterwork Sideshow, and Swiss trio Retro Disco performing a new commission by Irish composer Karen Power. The final concert of each Music Current festival always features new works selected from our open call for participation. 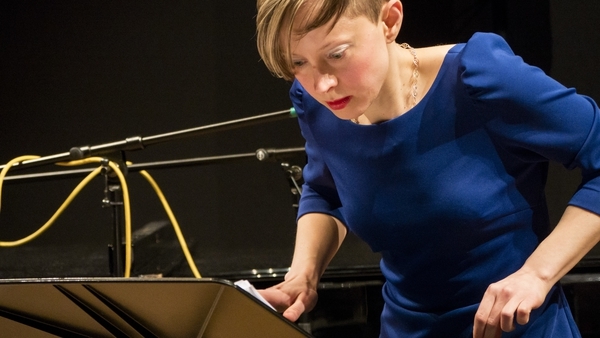 Each year we invite composers to send us proposals for the festival, then we select up to eight works and invite the composers to come to Dublin and present their work in masterclasses, workshops and performances. This is a great way for us to learn about what other composers are doing. It also gives composers from all over the world a great opportunity to present their work to enthusiastic and appreciative Dublin audiences. The main event this year is the Irish premiere of Sideshow by the American composer Steven Takasugi. This is a concert-length work for amplified octet and electronic playback, originally written for the Talea Ensemble in New York. The version we are presenting is a revised version for quintet and will be performed by Ensemble Tzara. Steven Takasugi is travelling to Switzerland to rehearse with Ensemble Tzara before they come to Dublin. So the Dublin performance really will be a unique event. Sideshow is based on the macabre sideshows of Coney Island amusement parks, which were popular in the early part of the 20th century, so it’s very theatrical in nature. And this fits very well with Ensemble Tzara who have an unashamedly Swiss, absurdist, Dadaist approach to their performance. The players really ‘perform’ in the theatrical sense, not just the musical sense, so it’s a very visual work that turns the audience into viewers as well as listeners. The other major event this year is a kind of portrait concert of Frank Corcoran, called Sweeney Lives!. Frank has written for all kinds of forces, but he was especially active as a ‘tape’ music composer. Here we are presenting three of his ‘masterworks’: Quasi una Missa (1999); Tradurre Tradire (2004); and Sweeney's Vision (1997). These were all originally commissioned for SWR (German radio) and were intended to be heard on radio. They are not in the style of electronic music of that time, but are very much radiophonic works, almost like theatre or ‘cinema for the ear’. This concert will be special for two reasons: the works have never been presented as a group of works before, so, when they are heard together, they take on their own logic and weight; also we are presenting the whole concert in surround sound (which involves a little bit of technical black magic), so this will really open up the texture of the works and project them onto a large immersive canvas. This year we have started an initiative called Music Current Connects, which is really just an open invitation to audiences and other music makers to come and talk to us. We want to hear from audiences and musicians and composers and other artists. Sometimes audience members can be reluctant to talk to musicians or performers, so we wanted to make it official that we’d like to meet and speak to audiences and other musicians. How does it work? Just come and introduce yourself to us after any of the concerts in this year’s festival. Music Current 2019 runs at Smock Alley Theatre from April 10-13 - find out more here.